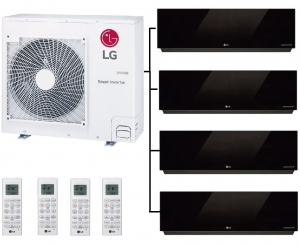 If you are looking for a muti outdoor condenser unit that can run 4 indoor units the LG MU4R25.U40 is worth considering. 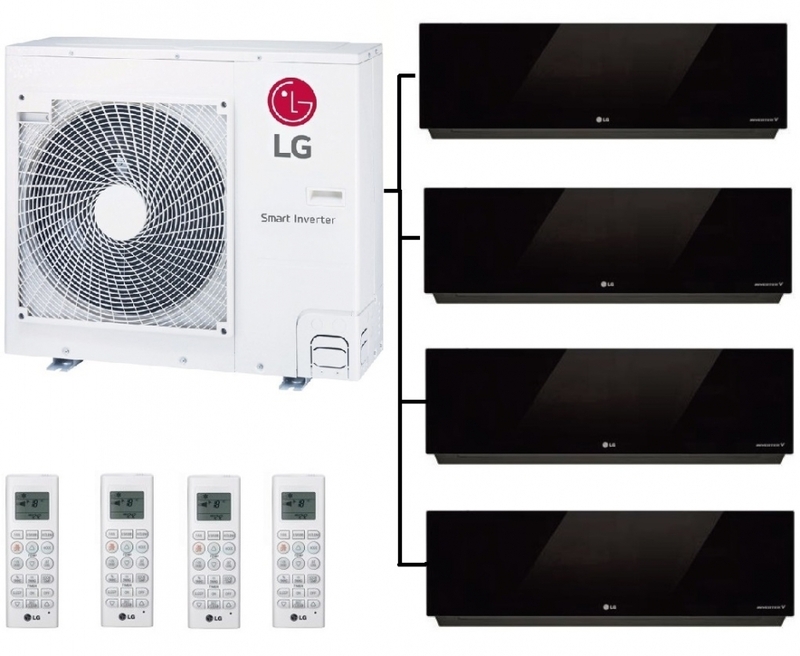 The LG MU4R25.U40 the R32 refrigerant model is avialable with either the 2.5kw AC09BQ.NSJ artcool mirror high wall indoor units or with a mixture of the 3.5kw variant model number AC12BQ.NSJ. All units are able to heat or cool rooms and can be set to different controlling temperatures to individual rooms if required, they however all have to be in the same mode be it heating or cooling. The sleek artcool mirror units are finished in black to add a modern touch to any decor.